Heat waves — periods of hotter-than-normal weather lasting days or weeks — are common in some grape-growing regions, but in recent years heat waves have set records for frequency, intensity, and duration. The increasing global problem with heat waves has been attributed to climate change, and most people experience climate change through extreme weather events, such as heat waves. Heat waves have been on my mind lately as Fresno, the California city in which I live, set a new record this year for the number of consecutive days that the high temperature reached 100°F or greater. Other cities in California were also subjected to extreme heat in 2018 — and other recent years — and grape growers are noticing. 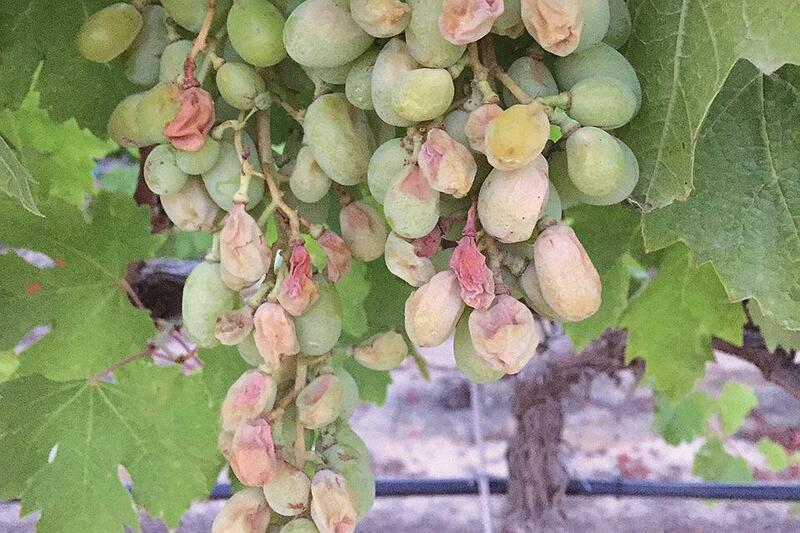 Recently, I received an email from a small winegrape grower in the Southern California interior who lost almost his entire crop to sunburn during an unprecedented heat wave. His email reminded me of a commercial table grape vineyard I visited two years ago. That vineyard, which had north-south rows, lost all the fruit on the west side of the trellis on the western edge of the vineyard to sunburn during a heat wave in June. In 2010, a late August heat wave caused such severe sunburn to wine grapes in Napa and Sonoma that the story was national news. Sunburn is the most dramatic and easily observed damage associated with heat waves. Sunburned fruit may discolor, crack, become infected with bunch rot organism, or dry out. Fruit that are directly exposed to sunlight during heat waves are most susceptible to sunburn, and sunburn susceptibility increases at veraison, as the berries soften. Heat waves are also most common and intense in mid and late summer, around veraison, and thereafter. However, sunburn is not the only damage caused by excessive temperatures. Heat wave effects on grapes depend in part on timing in relation to the annual cycle of vine growth and the exposure of the fruit. Spring heat waves can damage flowers, reducing fruit set, and thereby reducing yield. After fruit set, unusually hot weather can inhibit cell division and elongation, ultimately constraining fruit size. Abnormally small fruit may reduce yield of wine grapes, and yield and quality of raisin and table grapes. Summer heat waves may negatively affect fruit composition through direct effects on berry metabolism, and indirectly by inhibiting photosynthesis. Affected fruit may have poor color, undesirable flavor, and insufficient aroma compounds. A number of strategies can be considered to adapt to increasing temperatures. Small increases in temperature might be mitigated by employing various cultural practices including pruning, irrigation and fertilization, canopy management, and crop protectants, which may help reduce fruit exposure and reduce crop load. Larger increases in temperatures might require more substantial changes, including the selection of row direction, trellising, rootstock, and scion varieties that best match anticipated climate. 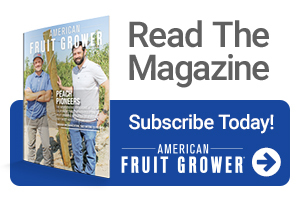 Table grape and tree fruit growers in some regions are experimenting with shade structures designed to cool the vineyards and orchards. If successful, we may see more use of structures for moderating vineyard environmental conditions. 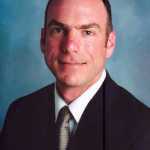 Matthew Fidelibus has a Ph.D. in Horticultural Sciences from the University of Florida, and he has served as a Cooperative Extension specialist in the Department of Viticulture and Enology at the University of California-Davis, since 2002. See all author stories here.